I made this a few years ago and thought I would post it here for people to use if interested. I’ve used it in my class and the students seemed to enjoy it! I posted this back in March 2011 on a different blog. 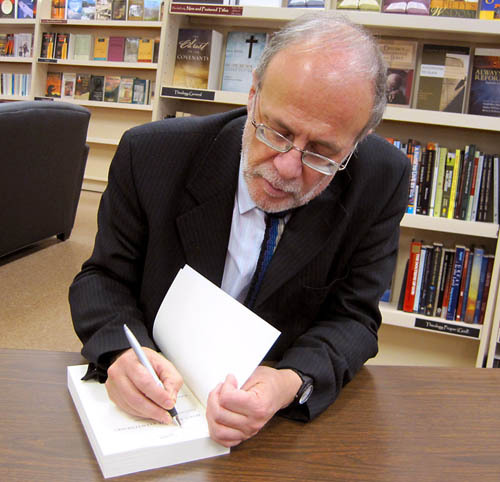 Richard Bauckham has been traveling in the U.S., giving lectures at various places (see his lecture schedule), as various bibliobloggers have pointed out. I had the chance to visit one day of the lectures at SBTS in February. See below for the links. During the first lecture, there was one particular point in which Bauckham, when discussing the gospels as biographies rooted in the narrative of biblical history, caused me to reflect upon Homer’s Iliad. He mentioned that Matthew’s genealogy lists all those names to remind readers of key developments throughout the biblical story of Israel. At that point I was reminded of Homer’s catalogue of ships in Iliad 2.484-785. There is a long list which, at first, seems to be a long, boring list of data of the ships from different places and regions. But if you think about it, Homer’s first readers would have been excited to hear of a ship from their own region or hometown — that their roots were somehow involved in an inevitable epic war. That is an aspect we may easily overlook. And, in a way, like Homer, Matthew reminds his readers of Jesus’ roots which trace back to key figures in biblical history. I’m not sure how much of that thought would really relate, but it was an interesting thought nonetheless. I mentioned this very briefly to Prof. Bauckham when he was signing my copy of his Eyewitnesses book, but there was no time for real discussion since there was a long line of people behind me. It’s time to get back into the blog! 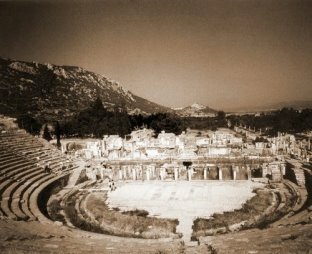 There is a conference scheduled at Harding School of Theology in Memphis, TN, May 2012: “Ephesus as a Religious Center under the Principate,” in honor of Richard Oster, professor of New Testament at HST. As time passes I’m sure more detail will emerge. It looks like it will be an interesting meeting. * Update: Read the comments below about Interpres (or click here). Via rougeclassicism I discovered recent podcasts on Vergil’s Aeneid made available by Bristol University. Grading: what were they thinking? !!! Although I didn’t give them any points, it made me smile. Or maybe it should make me cry. 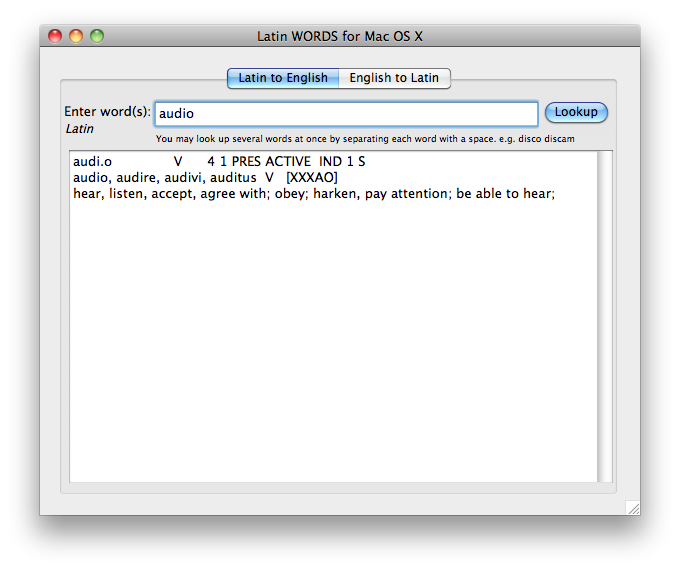 I have updated the Latin verbs PDF, with minor corrections, on the Latin page of this website. If you come across any error, please let me know and I will try to correct it as soon as I can.